Cold Tapas in Seville, beat the heat! (Leer en español) It’s so hot! Seville lives around 40 degrees all summer, especially in August. 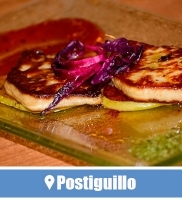 It is not a problem for the Andalusian typical cuisine lovers. They continue enjoying the tapas. Cheek, oxtail and some other stews are good options if we are in a well-conditioned restaurant. However, summer is the best time to enjoy the Sevillian cold tapas. Someone that lives Seville in summer has known the hot weather. Bars and terraces are a nice option to fight with it. Theatre, cinema and music too. There are many special cold tapas for this time. 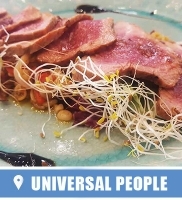 Salads, seasoned potatoes, anchovies and pickles, gazpacho … There are many options that appear in the menus of the bars of Seville. From here we wanted to make a selection with the cold tapas to enjoy now in summer. When a good product reaches your hands, it is best not complicate much. If the anchovy is high quality, it is eaten almost itself. In this case we like on a bed of avocado and toast. Brings freshness to the summer. 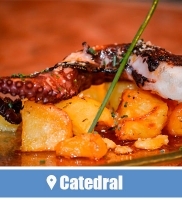 Our preferred, at La Catedral. A fashion tapa. 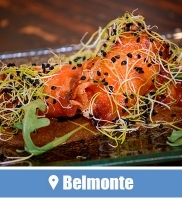 Chopped and marinated salmon accompanied by other elements that enhance the flavor. 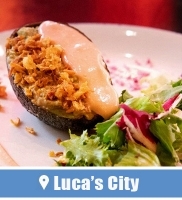 It is macerated with a good vinaigrette and accompanied by products such as avocado. 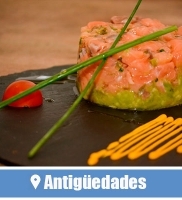 We love the tartar of Antigüedades in Seville. Fresh and land and sea flavour. One of our favorites cold tapas. With fish from our sailors neighbors and Andalusian orchard products. A simple dish that pull you down 10 degrees and leaves you a special taste. 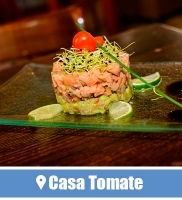 We like the tapa of Casa Tomate. 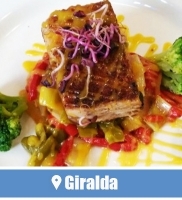 Cod, tuna, anchovies, frigate tuna, sausages … and a world full of flavor. 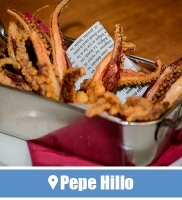 Cold processed tapas whose merit comes from suppliers that keep the traditional seasoned with salt. When we want an assortment to try everything, we go to the Bodega Donaire. The scorpionfish is not very handsome but is a very tasty fish. Typically elaborate as pâté and served with toasts. 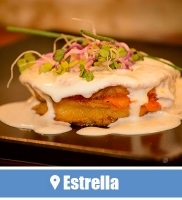 If there is one that stands above the rest and is known for the entire city, it is the tapa of Bar Estrella. 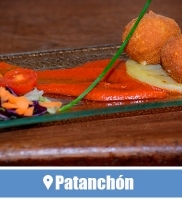 Restaurant open since 1939 and with decades of experience in the preparation of this cold tapa. Eat vegetables can be an ordeal of child but an adult celebration. Celebrate summer with a pie that has all the good from land. A cold tapa to beat the heat with all the flavor. Corn, peppers, tomatoes, carrots … in each home like in a way. Here we love the vegetable pie of Casa Pepe Hillo. Few things are more Andalusian than salmorejo. 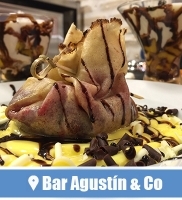 It is enjoyed throughout the year in Seville, but is the star of cold tapas in summer. 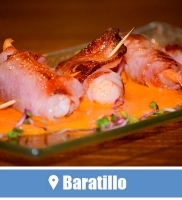 We recently tasted the salmorejo of Bar Agustín & Company and we loved it. In addition tomato, garlic, bread, ham, egg … and whatever you want for to make salmorejo more refreshing. We have left it for the end because if we refer to ham at first, anybody could think of anything else. There are many lands with good hams in Spain. However, although the pigs are not Sevillian, here is a great tradition to eat iberian ham as a cold tapa. 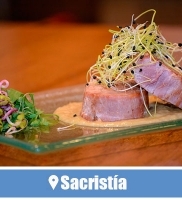 For us, the sacred ham is in La Sacristía. 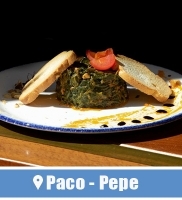 As was mentioned earlier, there is a wide variety of cold tapas to enjoy summer in Seville and beat the heat. This is our selection for the month of August. We understand that read this article without food in front of you can be a bit cruel. In conclusion we hope you are agree with us and you have a bar handy to test the recommendations … or at least the fridge to get by.